Staying in contact with your site visitors is essential to maintaining a strong presence on the internet. With your competition vying for your readers’ attention, it can be challenging to make yourself known as a reliable and trustworthy brand. That’s why implementing a solid contact form on your website can help. Site visitors want to feel like they can reach out to you whenever they have a question, concern, or complaint. They want to know that you are a real company, with real values, and a real dedication to the site visitors that support you. However, some contact forms are too expensive, too feature-packed, or simply too difficult to use. And, even when you single out the pricey ones or ones too difficult to configure, there are so many options out there to choose from it can become overwhelming quickly. That’s why I am here today to share with you one of the most beginner friendly contact form plugins on the market today – WPForms. WPForms is a user-friendly drag & drop form builder designed to help WordPress website owners create beautiful contact forms within minutes. 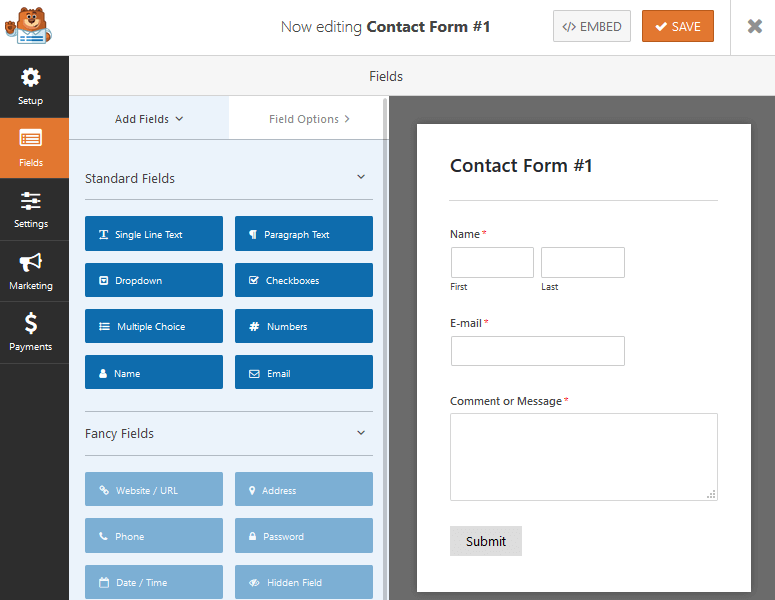 In an attempt to avoid joining the ranks of “bloated, buggy, slow, and very hard to use” contact forms that plague the market today, the plugin developers of WPForms set out to make contact form building easy. More specifically, WPForms is meant to exude power, functionality, and ease of use all at once. File Uploads. Allow your site visitors to upload files and media with their form submissions. For example, collect images, video, Word documents, and PDFs. Spam Protection. Add CAPTCHA to all forms or implement the Honeypot technique. In addition, enable custom CAPTCHA, complete with questions or math equations. App Integrations. Connect your contact forms with over 500 web apps using Zapier. Send form data to places such as Salesforce, Freshbooks, or Google. Geolocation Data. Collect and store your site visitors’ geolocation data with their submission. In addition, allow site visitors to submit content (such as guest posts) onto your site without logging into the admin area or give users the ability to sign forms using their mouse or touchscreen. 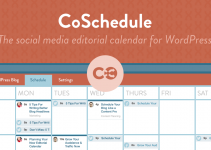 Lastly, capture partially filled out form information and follow up to boost potential leads. Website owners expect a lot out of contact form plugins. They want plenty of features, an affordable price, an intuitive interface, and more. Check out some of WPForms’ best features and see why this contact form plugin is quickly becoming one of the most popular available today. WPForms has a powerful built-in drag & drop form builder so you can create stunning forms in minutes – without writing any code. Simply drag each field you want to include on your form, rearranging as needed. To make things even easier, WPForms comes with pre-made forms that you can use to get started. Or, if you prefer, build a form from scratch to meet your individual needs. Turn long forms into multi-paginated sections to break down the process for your site visitors and improve their user experience. 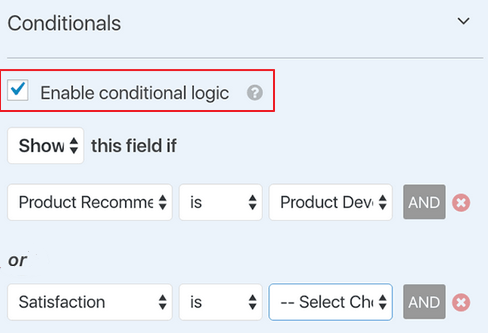 Rearrange fields, sections, pages, and more using the intuitive form builder. Once a site visitor submits a form, view the entire form as a single page with one simple click on the backend of your website. Create a custom WordPress user registration form for your WordPress website. In addition, connect it to your newsletter or collect payments from site visitors directly from the forms. Enable a custom WordPress login page or implement a login widget in the sidebar of your website for easy user logins. Using WPForms’ Campaign Monitor add-on, you can build a newsletter signup form for building a bigger email list. Simply create the form using the form builder and connect it to your existing Campaign Monitor account. Aiming to aid you in your efforts to create the best user experience possible, provide website owners with an intelligent and powerful form, and make form building easier than ever, WPForms comes with built-in conditional logic. Create dynamic forms that change based on user behavior as they fill in sections. For example, hide or show fields and sections, encourage a newsletter signup, and more based on how your site visitors fill in each field. When people reach out and contact you, they expect a quick response. WPForms understands this and notifies you immediately once a user submits a form on your website. What’s more, you can even have other people on your team notified after form submissions to ensure faster response times. Each email notification will have all of the user’s form details laid out for you. In addition, you can view all form submissions from the convenient entry management screen as well. Don’t want email notifications? Simply toggle off email notifications for one or all of your website’s forms. A lot of what WPForms provides feature-wise is geared towards making the user experience seamless. That said, WPForms also puts a lot of thought into what it takes website owners to manage contact forms. Streamlining the workflow for you and your team, WPForms has a convenient entry management screen, accessed in your WordPress dashboard, for checking all form submissions in an organized fashion. Check leads, mark forms as read, delete those that have been addressed, and even manage multiple forms – all from one convenient location. There is no denying that WPForms comes with plenty of exceptional features for making unique forms on your WordPress website. But does the plugin meet the claims that it is powerful, functional, and easy to use? In the end, WPForms provides the perfect mix of powerful features that are easy to use, that also function in ways many average contact form plugins cannot. WPForms has a great documentation section that includes many articles, videos, and blog articles walking you through every feature the plugin comes with. Learn about installation, customization, basic functionality, form management and more thanks to the effort the team at WPForms has put into making sure their users understand how to use WPForms. For those who need additional support, you can easily login in to your WPForms account and submit a help ticket to the support team that is waiting by to help you. It is also comforting to know that there is a 100% no-risk money back guarantee in place should you decide within the first 14 days of using WPForms it is not for you. Right now, there are so many contact form solutions available for WordPress it’s enough to make your head spin. Some are quite expensive, some have too many features, some will slow your site down, and some are just not the quality you might expect from a WordPress plugin. Luckily, WPForms is none of that. In fact, this simple form plugin has the perfect balance of power, functionality, and ease of use all packed into one affordable plugin. Therefore, this plugin deserves the WPWarfare.com stamp of approval. It truly is no wonder why this plugin is quickly climbing the ranks as one of the most popular form builders on the market today. 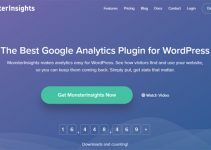 Summary: If you are looking for a WordPress form plugin that packs a punch when it comes to power and functionality, but is easiest enough for even the most novice of website owners to use, WPForms has what you need. Stay in touch with site visitors, boost your marketing efforts, and start spending time on more important things by creating beautiful forms on your website in mere minutes.